The discussions at Davos focused not so much on how to resolve any current crisis, but rather how the future looks 10, even 20, years down the road. 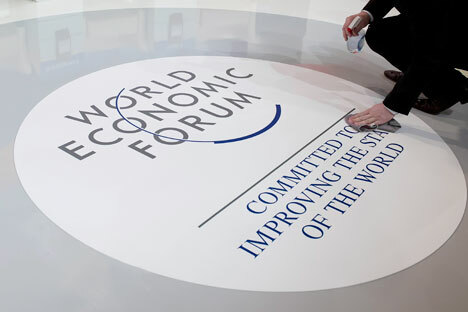 The mood at this year’s annual World Economic Forum in Davos, Switzerland was dramatically different from those of previous years. Rather than focusing on the ongoing world economic crisis, most speakers emphasized long-term forecasts. The most important forecast of Europe’s future came from German Chancellor Angela Merkel, who delivered the keynote speech at the forum. Her main message was the need for structural reform. Indeed, according to Merkel, the only way for the European economies to become more competitive is to reform the labor market, cut wasteful government spending and downsize the government sector. Before the crisis, for example, it was hard to imagine that Portugal could cut the number and salaries of its civil servants significantly. Fifteen percent of all working people in Portugal worked for the government and their salaries were 45 percent higher than pay for similar positions in the private sector. But under pressure from the crisis, Portugal carried out arguably the most sweeping reform of the government sector in recent decades, dispensing with bonuses and cutting civil servants’ salaries. Such unprecedented reforms are, of course, sure to improve the economy and its growth prospects, albeit not instantly. Spain, Iceland and Greece offer similar examples of anti-crisis and forced structural reforms; there are also the successful – and therefore quickly forgotten – reforms in the Baltic states. Moreover, one of the main reasons for the low unemployment and high competitiveness of Germany has been the reforms carried out in the late 1990s and early 2000s, especially on the labor market. Little wonder, then, that the crisis is forcing the countries on the periphery of Europe to make dramatic changes to their economies, following in the footsteps of their more successful neighbors. In fact, we are witnessing the emergence of a European fiscal union within which the peripheral countries commit themselves to a more prudent fiscal policy in exchange for financial aid and restructuring of their debts. Merkel’s comments – committing Germany to structural reform while being reluctant to protect the euro – are a return to realism. It is already clear that France’s budgetary resources are finite. Obviously, Germany, too, might soon face similar constraints. The era of soft budgetary controls is over. There are no more limitless resources for salvaging the irresponsible members of the euro zone. If, therefore, the euro is to stand its ground (as is most likely), Europe will need to enter a period of more rapid economic growth than in the last 20 years. The United States was much less a focus at this year’s forum than it has been in previous gatherings. This is not surprising, as the U.S.’s problems are much more long-term. The most important speech about the U.S. was the half-hour presentation given by U.S. Treasury Secretary Timothy Geithner. Part of his speech consisted of predictably politically motivated assurances that the economic situation in the U.S. was improving. Yet Geithner had to admit that the country has some fundamental problems, such as high unemployment, increasing levels of poverty and inequality and, most important, social and political problems, including the loss of faith in social mobility by the majority of Americans. Geithner did not offer convincing solutions to these problems. He spoke primarily about raising taxes and blamed China for America’s woes. The American economy’s long-term problems are very serious. Social tensions leading to extreme polarization of society and political uncertainty are still more dangerous, because they preclude resolving the country’s economic problems any time soon. Unlike Europe, where the crisis is forcing politically sensitive decisions to be made, there is no political coalition in the U.S. for resolving long-term problems. The U.S. is looking more and more like the “old” Europe, where political problems impede economic growth. Most likely, the U.S. will still grow faster than Europe, but not as fast as over the last 20 years. Hardly anyone spoke at the forum about a possible crisis in China. There was a consensus that while China has its problems, the country’s growth rate is unlikely to slow significantly, at least in the short term. The most interesting and startling comment was made at the session called “Uncertainty: Dollar, Euro, Yuan.” It turns out that China is not seeking to make the yuan a reserve currency in the next 10 years, because it is afraid that the yuan as a reserve currency might potentially destabilize its economy. For example, “an escape into the yuan” in the event of crises outside China could dramatically strengthen the currency and create problems in the real sector of the economy. That remark shows that, at least for the next 10 years, China thinks that the advantages of the yuan being a reserve currency are outweighed by the potential currency risks. As a result, China is likely to its 12th Five-Year Plan, the country’s economic blueprint envisaging a transition from export-led economic growth to a model based on domestic consumption. The yuan will not move towards becoming a reserve currency until the Chinese economy is more balanced in terms of export, domestic consumption and a more developed financial market. Sergei Guriyev is rector of the New Economic School and Oleg Tsyvinsky is a professor at Yale University and the New Economic School.